When evaluating a home you are considering buying, it is easy to get caught up in the visual aspects of the home. Water pipes are just one unseen area you remember to inspect. Alright, I’ll admit right away water pipes are not exactly the most glamorous aspect of a home. In fact, water piping in most homes is more than adequate to keep you in hot showers while you live there and take care of all your water needs. If there is a problem with the interior water pipes, however, you are in for a very costly and disruptive experience. The main issue with water pipes on the interior of a home is their location. It is easy to forget about them because they are primarily hidden behind the walls of the house. While this is good from a visual perspective, it quickly becomes a negative if a pipe starts leaking or, god forbid, actually bursts inside a wall. Leaks lead to rot and mold problems that can effect the health of you family. A burst pipe leads to flooding, new carpets, rebuilt walls and large bills. 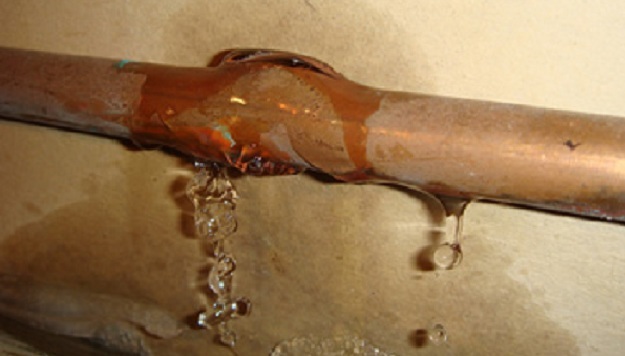 When evaluating the water pipes in a home, keep in mind the following issues. 1. Copper – The best piping material for water pipes is copper. It will last forever and is resistant to hard deposit build ups which can impact the amount of water flowing through the pipes. Copper pipes are also the sign of a quality construction effort as they tend to be more expensive than alternatives. 2. PVC – If you see PVC water pipes anywhere other than on the sprinkler system or from the main street line to the house, red flags should wave before your eyes. The presence of PVC piping is an indication of an owner doing the piping themselves, as most construction companies will not use PVC. In a majority of locations, such use of PVC is outright illegal. Do not buy a home with PVC piping in the walls! Ever! 3. Iron Piping – For a long time, iron piping was pretty much the standard in home construction. There is nothing particularly wrong with using such piping with one exception. Iron piping is susceptible to water and will rust over time. If you find this grey, metal piping in the home, find out when it was put in and check for rust. Iron piping should last roughly 30 years without any major problems. If replacements must be made, go with copper. The pipes moving water around the interior of a home may seem uninteresting. Your attitude, however, will change if one of them bursts in the middle of the night.